At Charlton Primary School we believe that a child’s first experiences in school are vital, laying down the foundations for all aspects of life that follows. We want all children at our school to have a love of learning, so that they can continue to learn effectively through into adulthood and enjoy happy, fulfilling and productive lives. 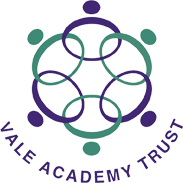 Our aim is to provide the highest possible quality education for all our children, enabling them to realise their individual abilities, talents, skills and personal qualities. We pride ourselves on our warm, caring ethos, within which all children feel happy, safe, engaged and enabled to learn. I am proud to be the Headteacher at Charlton. We have fantastic staff and Governors dedicated to helping educate every child. Right across the team we bring expertise, enthusiasm and experience and we are committed to ensuring that every child in our care enjoys their time at Charlton Primary School. Please do get in touch if you would like more information. We look forward to welcoming you to our school.